Is there a “Slim” chance that the Mexican Telecom Reform is implemented? I was asked this very question by Ralph Watzke, a Canadian lawyer. 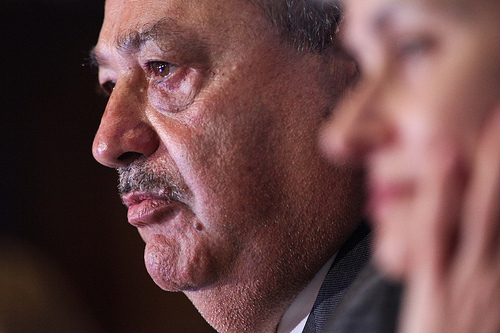 It is understandable that the presence of telecom mogul Carlos Slim, could decrease the expectations of investors, and force them to wait and see. 1. Paraphrasing declarations of Carlos Slim during the worst peak of the recent crisis: “Whoever does not invest, will be left behind”. As the market is opening to 100% foreign investment in telecom and 49% in broadcasting, investors in global markets with lower growth could find it interesting. Concurrency would open the market. 2. Mexican telecom market is growing at a 8.2% (accumulated average at Q313). As Telmex/Telcel are also building their network to meet peak demand, there will be enough room for those who pick strategic niches or disrupt the market. 3. Companies of Slim have been shopping content, like soccer teams, the broadcasting rights for the 2016 Rio Olympics and other rights. Is he preparing for free-to-air-TV or CATV? None of that could happen if the Reform is not implemented. 4. This is a first-mover market. The ever-evolving models for deploying low cost networks to deliver high-end services, will force Telmex reinvent its business strategy. So, systematic challenge to the Reform could not be viable on the long run. 5. The new trends of technology involve convergence, collaboration, open and dematerialisation. This means that infrastructure would remain relevant, but could pass to the background. Slim is neither a rookie nor naive. Considering his circumstances and the current momentum of the telecom market, he has been given with the power to disrupt this market for good. What would you do in his shoes?